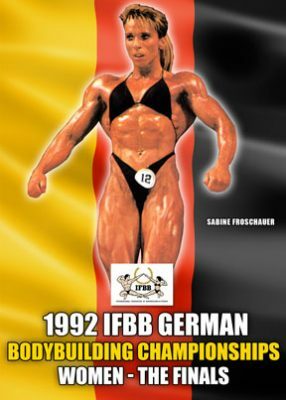 Women’s Finals from the classic German contest. Lightweight, Middleweight and Heavyweight classes. Overall won by Connie Ploesser. Includes a long guest posing routine by Patricia Davis. Sadly, we only have the first placed women in the results – if you have any further information please email tina@gmv.com.au, so we can update this product page.